Performers include: Bianca Lawson, Dawn-Lyen Gardner, Dondré Whitfield, Ethan Hutchison, Glynn Turman, Greg Vaughan, Henry G. Sanders, Kofi Siriboe, Marycarmen Lopez, Nicholas L. Ashe, Omar J. Dorsey, Rutina Wesley, Timon Kyle Durrett, and Tina Lifford. Set in the fictional town of Saint Josephine, Louisiana, this contemporary drama chronicles the lives and loves of the estranged Bordelon siblings. Nova Bordelon (Rutina Wesley) is a world-wise journalist, herbal healer, and activist. Her longtime lover is Calvin (Greg Vaughan), a married police officer. Charley Bordelon (Dawn-Lyen Gardner) is the savvy wife and manager of charismatic professional basketball star Davis West (Timon Kyle Durrett). They have a teenage son named Micah (Nicholas L. Ashe). Ralph Angel Bordelon (Kofi Siriboe) has recently been released from prison and is facing all the challenges that entails — in addition to raising his 6-year-old son, Blue (Ethan Hutchison), and getting to know his long-estranged siblings once again. Blue’s mother is Darla (Bianca Lawson), a young woman struggling with addiction who desperately seeks reconnection with her son and his father, Ralph. Reyna Velez (Marycarmen Lopez) is Blue’s beautiful elementary school teacher. Ernest Bordelon (Glynn Turman) is the Bordelon family patriarch and owner of a struggling sugarcane farm in the Deep South. His confidants include irrigation specialist Remy Newell (Dondré T. Whitfield) and Prosper Denton (Henry G. Sanders), a lifelong friend. Ernest’s sister is Violet Bordelon (Tina Lifford). Hollywood Desonier (Omar J. Dorsey) is her younger lover and a strong supporter of the family. After tragedy strikes, the estranged siblings’ lives are thrown into turmoil as they must find a way to work together and save the family sugarcane farm. What do you think? Do you like the Queen Sugar TV show? Do you think it should be cancelled or renewed for another season? 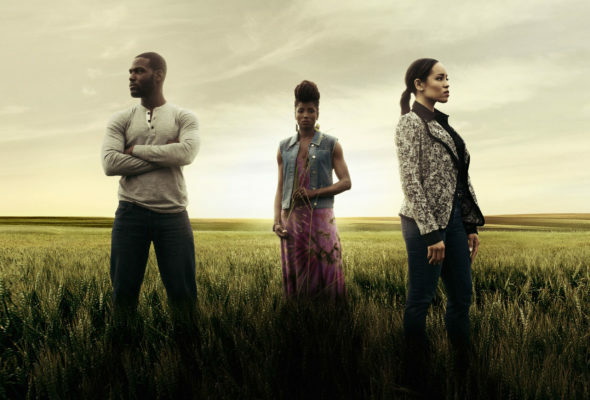 Queen Sugar: Cancelled or Renewed for Season Three on OWN? Queen Sugar is one of my favorite nighttime weekly dramas! I look forward to watching each and every week. When is the new episode airing for 2019? My entire family and I love Queen Sugar! We have been waiting anxiously for Season 4. Come on Ava…..We miss Queen Sugar! I love this show please get it back on air. why is there even a question?? I love this show…. Renew it…. I am looking FORWARD to the return of Queen Sugar! We need more programs that are BY US, FOR US!!! Come thru Queen Ava! Who exactly is “us”? Do you mean human beings? Great show with strong family commitment & compassion. Fabulous Show – I am a devout fan, and can’t wait for Season Three to start. Amazing actors, great story line, and many, many thought provoking scenarios emerge throughout the series.